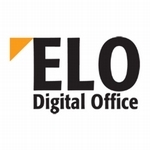 The ECM developer ELO Digital Office has announced the release of ELO office 10.5. The mobile app ELO QuickScan is the main addition. Available for Android and iOS operating systems, users can now input documents on their smartphones into the ELO office 10.5 workflow. Other improvements include image enhancement tools and the means to detect areas and borders on scan input. Version 10.5 also includes an improved Print & Archive function, which can extract documents from a downstream system in order to use ELO Office's legal archival features.